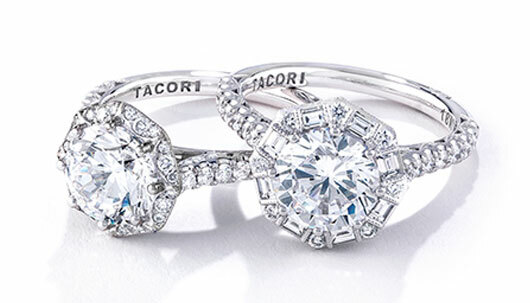 Less is more, when it comes to Tacori’s Petite Crescent bridal jewelry collection; less metal and more diamonds, that is! Small and soft refined crescents, pave diamonds on the ceiling, and classic French-cut diamonds on the inner face of pretty profiles offer understated elegance in engagement ring semi-mounts that are delicate and feminine. Complementary women’s wedding bands feature a dainty string of diamonds with timeless appeal. Traditional Tacori Girls will love brilliant way in which the Petite Crescent collection shines brightly with the Tacori Touch.